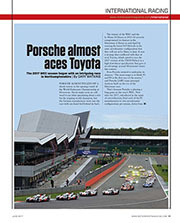 Porsche almost pulled off a shock victory in the opening round of the World Endurance Championship at Silverstone. 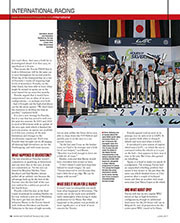 Shock might seem an odd word to use when speculating about a win for the reigning world champion, but the German manufacturer went into the race with one hand tied behind its back. The winner of the WEC and the Le Mans 24 Hours in 2015-16 severely compromised its chances in the Silverstone 6 Hours in mid-April by running the latest 919 Hybrids in the same aerodynamic configuration that they will use at Le Mans in June. It was a strategy that conflicted with that of rival Toyota, which opted to race the 2017 version of the TS050 Hybrid in a high-downforce specification that gave it an advantage around Silverstone’s many fast corners. 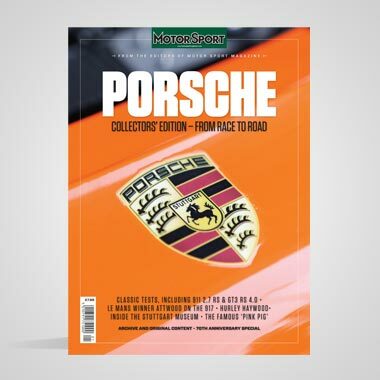 Even Porsche seemed to underplay its chances: “The main target is to finish P3 and P4 in the first race of the season,” said Porsche LMP1 team principal Andreas Seidl on the eve of the Silverstone race. 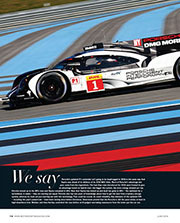 That’s because Porsche is playing a long game in this year’s WEC. New rules for 2017, introduced in the name of cost reduction, limit each of the P1 manufacturers to two aerodynamic configurations per season, down from last year’s three. And once a body kit is homologated ahead of its first race, its specification is frozen. That means the Toyota TS050 that it took to Silverstone will be the same car it races throughout the second post-Le Mans leg of the championship on a run of Formula 1 tracks all requiring high levels of downforce. Porsche, on the other hand, has been able to leave what might be termed its sprint car in the wind tunnel for an extra few months. Porsche argued that it would have compromised one or other of its aero configurations – or perhaps even both – had it brought out the high-downforce car for the series opener. “We don’t have the resources to develop two kits in parallel,” explained Seidl. 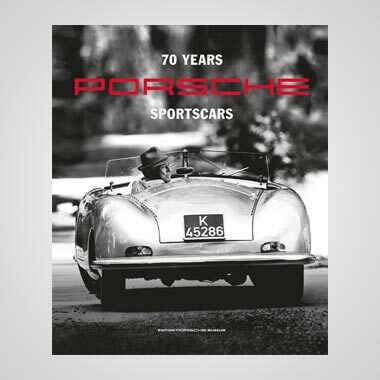 It is not a new strategy by Porsche, but it is one that has served it well over the past two seasons. In 2015 and 2016 it raced at Silverstone with an update of the aero spec with which it finished the previous season, an option not available to it this year courtesy of the new limitations and changes to the aerodynamic regulations. Each time Porsche then brought out its all-singing-all-dancing high-downforce car for the Nürburgring, and with some success. Porsche rolled the dice at the final round of pitstops by sending Hartley on his way without a new set of Michelins. 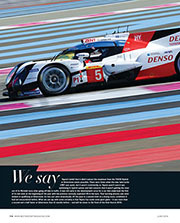 The move got him out ahead of Sébastien Buemi in the Toyota shared with Anthony Davidson and Kazuki Nakajima to the tune of eight seconds, but on new rubber the Swiss driver was able to chase down the 919 Hybrid and quickly pass it on the way to a six-second victory. Hartley reckoned that Buemi would have overtaken him sooner or later. 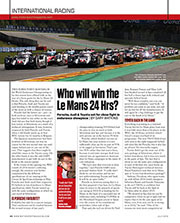 WHAT DOES IT MEAN FOR LE MANS? 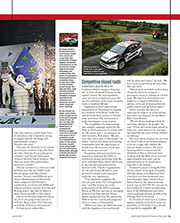 It wasn’t easy to extrapolate too much from what happened at Silverstone. The events out on the track were probably fairly meaningless when trying to make predictions for Le Mans. But what happened in the pitlane was probably of more significance, or at least of more concern for Toyota. 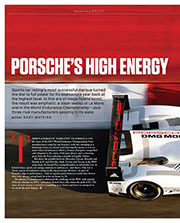 Porsche gained vital seconds at its pitstops over its only rival in LMP1. It was quicker both when it changed wheels and tyres and when it didn’t. It introduced a new system of captive wheel nuts à la F1 – in which the nut is contained within the wheels as it is put on the hub – that appears to have won it time in the pits. But it has also gained on refuelling. Again, it is hard to make too much of a judgement. The winning Toyota had an unspecified refuelling problem that meant it was slower in the pits than the sister car, which finished down in 23rd position after a couple of technical issues and then an accident with team newcomer José Maria Lopez at the wheel. of downforce, but it would be wrong to suggest that the advantage will automatically swing in Porsche’s direction. The last comment is a reference to the different ways the two LMP1 rivals harvest energy with their hybrid systems. 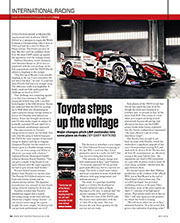 Toyota’s twin KERS set-up is always disadvantaged at Silverstone when compared with Porsche’s combination of a front-axle KERS and exhaust recovery, courtesy of its fast and flowing nature. Spa, like Le Mans, is more Toyota-friendly in that respect. Industry leaders Bentley Motorsport and Princess Yachts have announced a new three-year partnership, bringing together two British manufacturers at the forefront of cutting-edge performance technology and craftsmanship. The yacht manufacturer’s branding will feature on Bentley’s fleet of race cars in 2017 as they compete across Europe, the USA and China. Joint activities between the manufacturers will deliver exclusive experiences for customers and showcase top-level motor racing and luxury yachting. Just outside Las Vegas, construction is due to begin on one of the world’s longest racing circuits. 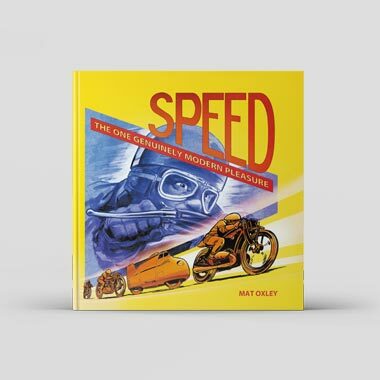 At over six miles, the Spring Mountain Motor Resort is already North America’s longest track, but a mammoth new layout is set to extend the circuit to an astonishing 15 miles. At that length, the luxury resort’s circuit will be longer than the Nürburgring Nordschleife, although it will fall just short of the German circuit’s combined VLN layout.